Home / Modern Pest Blog / Spiders are Invading! Sometimes it seems as if spiders have invaded our homes and gardens. No matter where you look, spiders and their webs lurk behind furniture, over windows, in corners of rooms, in light fixtures, on ceilings, and under cabinets. Outside, they occupy flower pots and build webs between foliage and live under eaves. Most spiders, even if they are scary to look at, are harmless to humans. Spiders usually avoid places frequented by people. They prefer to live in places that are undisturbed, catching and feeding on unwanted insects such as moths, mosquitoes, flies, and beetles. 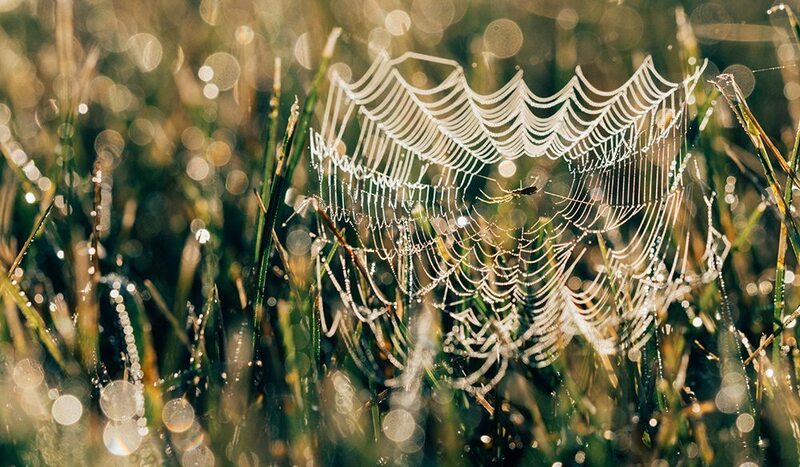 Spiders are particularly beneficial in the garden because they feed on garden pests that affect the health of plants. Although South Portland is well-known for its green spaces, you may not want to cohabitate with critters better appreciated outdoors. Got spiders? You can enlist the help of Modern Pest Services to devise a spider control program to take back your home from six-legged stowaways. While most spiders are innocuous to humans in New England, a few species have a poisonous bite. The bites of black widow and brown recluse spiders can cause reactions in humans ranging from pain in the area of the bite to muscle cramping, fever, vomiting or difficulty breathing. Both the black widow, identifiable by a red splotch on the abdomen, and brown recluse, identifiable by a brown violin shape on its head, are common in the southeastern and western United States, but are found throughout North America. If you have a problem with spiders, the licensed professional exterminators at Modern Pest can recommend appropriate treatment for spider control in South Portland, Maine. Modern Pest control has locations throughout Maine, New Hampshire and Massachusetts. If you think that spiders are a problem in your home, contact Modern Pest to speak to a spider control specialist and recieve a FREE Quote. 1-800-323-PEST.